I am delighted to join gifted bloggers in another blog hop. The topic of this hop is Gifted 101. Many of us are sending our kids back to school this month, and some of us are sending our gifted kids to school for the very first time. This post is for those parents whose gifted children are entering the world of public education for the very first time. I hope that many others will enjoy my popular Back to School for Gifted Learners post from the last year. Here is our Smarty on the first day of school – so small, still looking a bit like a well fed baby and very exhausted after her first day. Transition to a kindergarten is a big step, and, looking back, I think we approached it with a great deal of trust and good faith. It was not misplaced, since Smarty was very lucky to have an amazing teacher and a strong class in that first year, but I still want to share the advice below, since this journey so far was certainly not without its bumps. I am sure that you already gave some thought to the rules for gifted education in your state or country, because they could not be more different. For example, in California where we live, gifted identification only happens in the second grade. In addition, every school district might have their own gifted policy that might be more generous or stingier than guidelines from above. Finally, an individual school might offer their own take on gifted education. That individual take depends on many factors, including available resources, knowledge, and simply desire of administration to accommodate outliers. It really helps to talk to more experienced parents in your circle who also send children to this school to understand what is available. This is how we knew that our school has K-1 class that takes 10 strongest incoming kindergarteners and puts them in class with 15 first graders under the care of a very experienced and enthusiastic teacher. We specifically asked to put Smarty into that class, and she thrived in K even though she was a full year younger than most of other K-kids in this class and 2 years younger than first graders. Unless your child clearly requires special accommodation, give a teacher a chance to get to know your child. Most schools have a “back-to-school” night within 2 or 3 weeks after the school year begins. It’s a good opportunity to listen to the teacher describing his or her approach to differentiation in the classroom and formulate your questions based on the information you receive during this event. Then schedule a meeting with a teacher, if needed, to talk about individual details for your child. To test or not to test? Different parents will have different opinions on this subject. Personally, I think that it is not needed for high achieving kids, but might be useful for twice exceptional learners, so the right accommodations can be provided. I have a healthy amount of respect for every teacher my 4th grader had so far, but remember that they are not really required to apply themselves to the problem of students who are above level. Every teacher promised us “a year of progress” for every child in her class but was not able to quantify how that would look like for a child like Smarty who was always a couple of years ahead in academic subjects. In my opinion only the third grade teacher sort of delivered that, and only because by that time we were very “hands on” with Smarty’s education, in constant sync with this teacher and supplementing math at home. Therefore, see my next point. In our schools these conferences usually take place in November. By that time your child might be already engaging in not-so-healthy behaviors trying to keep himself or herself entertained or challenged. I think 3-4 weeks into a school year would be a reasonable time to touch base with a teacher to discuss what “a year of progress” would look like for your child and how you can work as a team to support this goal. Make a difference in your child’s and other children’s education by volunteering your time and skills. Being in your child’s classroom will give you a better understanding of challenges that teachers are facing every day in their classrooms where the gap in abilities can be staggering. Having parent volunteers allows teachers in our school to work individually with smaller ability-based groups of students while parent volunteers supervise the rest of class working independently. It’s extremely frustrating when your gifted learner is struggling in school, and we’ve been there in the second grade when our daughter seemingly lost all interest in learning, because her teacher taught strictly to the middle. We’ve made several mistakes during this experience by trusting the teacher do the right thing and waiting too long to bring the matter to a principal. One of the reason we waited for so long is because we did not want to be “helicopter parents”. But you know what? I am over that label. Our gifted children deserve a year of progress just as much as struggling students, and, unfortunately, it’s often up to us to make sure that happens. I don’t want to finish this post on a sour note. Overall, despite its ups and downs, our easy going gifted learner is thriving in public school. It helps that she is by far not an only gifted child in her year, and she enjoys the friendships that she has established over years. She also has a chance to help other students and participate in a variety of extracurricular activities offered by her school including a choir, a fall musical, GATE program where they get to build things, and more. We are optimistic that we will have another good year by applying all the lessons that we learned so far. 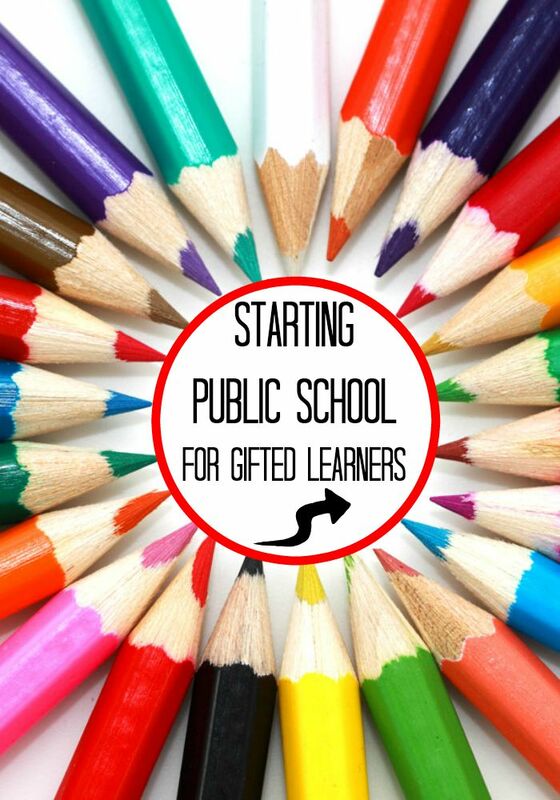 I hope that my readers will also work with their public schools to make them an excellent educational choice for gifted learners. What are good and bad parts about the educational choices you’ve made for your kids? This post was written as part of Hoagies Gifted Blog Hop series. Follow Hoagies Gifted on Facebook and see other Gifted 101 topics shared by my fellow bloggers. Good reminders here. It's such a fine balance between giving the teacher an opportunity to show you what they've got in their gifted teacher tool box - and bringing in your "big guns" to ensure your child has a year where they actually learn. Great advice for parents starting out in the schools. Each school district is so different, and every teacher brings different strengths. There can be a lot of great benefits to a public school education, depending on the school district. Nevertheless, parents need to focused and aware of what is available and when and how to become involved. I don't think what you were was a helicopter parent. I tend to think of that as the parent who won't let their child fail or is helping their child too much. All excellent advice that may not always be at the forefront of parents' minds when sending their gifted child off to school for the first time. 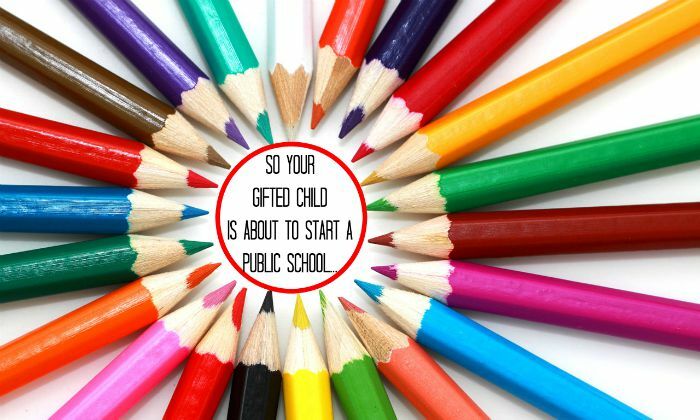 Letting parents know that gifted education can mean something different and be mandated differently in each state, within each school district and even at each school is so important. Parents need to know this before the bumps and hiccups occur. We all have faith and trust in our public school system, and like you said, we shouldn't assume they will get it. Great advice. My son is starting first grade next year, and I will work closely with the teachers. Great suggestions. Many states have a gifted mandate, while others don't. Many districts have gifted policies in place, even though the teachers and principals may not be familiar with them. There is so much homework parents should be doing, and you've gotten them started in the right direction. Thanks! YES! I encouraged the parents of the kids I worked with to be nice and squeaky... YOU are your kids' best advocate!